How can you establish a good grip in the global market for your B2B business? The obvious answer is Lead Generation online. At present, it’s the time where the technique of calling and the efforts of the sales team is diminishing to the thing of the past. Business entrepreneurs can now hold on to digital marketing techniques to tap into the bountiful market that is specifically structured to generate leads. Various tools facilitate to customize for the individual business needs. Some of the most successful B2B companies are Adobe, Cisco, American Express and more. 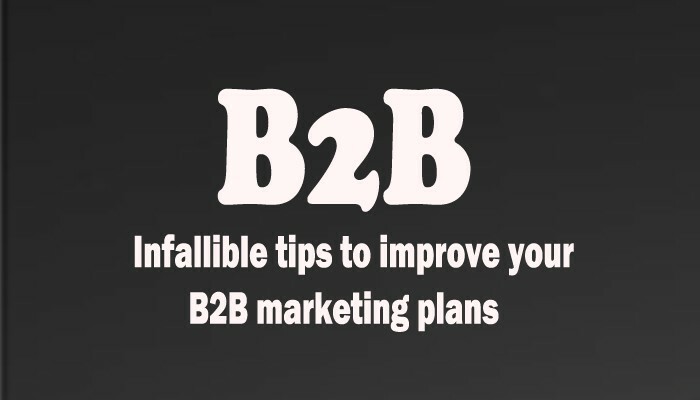 Quite a number of B2B marketers lose a lot of time, metaphorically, putting water into leaky buckets. Instead of repairing the marketing funnel, they try to fetch traffic to the website which is designed by very good Professional Logo Design Company. This in order inflates the acquisition costs and results are not even nearer to expectations. And here the biggest culprit is the landing page and to be precise the forms. Forms have a decisive part in differentiating the leads and non-leads and has a major effect. This in order impacts the rate of conversion and the whole lead generation outcome. For instance, each visit to your landing page up to 1,000 costs you $3. If from the form fill-up from the page you get 1% of conversion, then it turns out to be 10 leads costing $300 each. Whereas, if you get 3% conversion, then you gain 30 leads at the cost of $100 each. It means you get 3 times more leads without investing any extra money by modifying the lead generation form. Now let’s take a glance at the strategies that can be implemented for an increased lead generation. A Hubspot study reveals that SEO is the most effective channel for lead generation. While if we go with a study provided in the Chief Marketer’s data in the same context we can get to a conclusion that after creating eye catching website design services, email marketing and social media marketing is one of the most suited channels for B2B lead generation. The obvious question after this is which strategy should be used and why so many approaches? An answer to this question is the audience type. Through email marketing campaign will have different results definite than a PPC or paid campaign. Likewise, when our aim is to rank the site better on the SERP we have to strategize in a different way. Integrating it all together creating the correct recipe or integrated marketing campaign that covers paid ads, customized emails, and smart content marketing process is all equipped to get the desired results.